Of course if there are structures that could be damaged as limbs — or the tree itself — falls then the answer is pretty clear. Better remove it. If the tree was diseased and might infect nearby trees, then it is best cut and properly discarded. 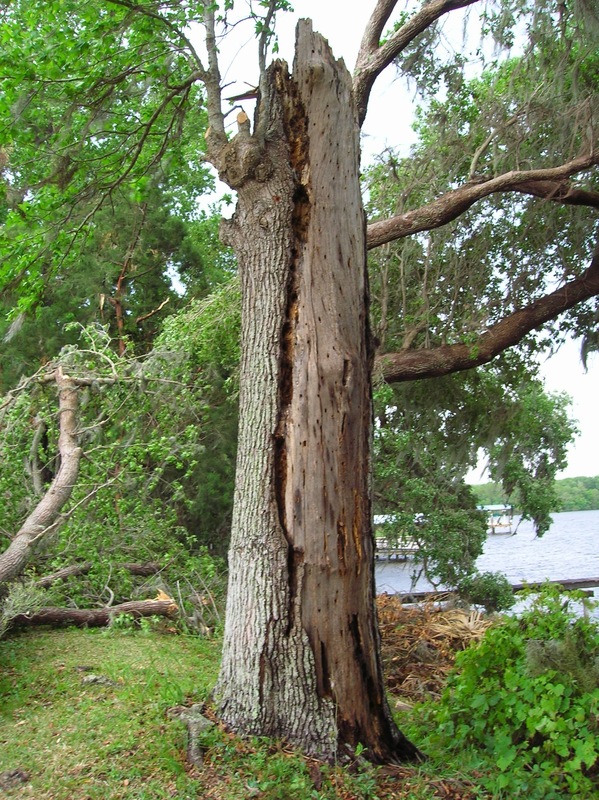 In some cases (like with ambrosia beetle or emerald ash borer infestations) the cut tree or firewood from that cut tree should not be moved from the property due to the possibility of spreading the infestation to other areas. Contact your local agricultural agent for advice if you suspect your tree died from these insects. But on the other hand if there is no danger from falling limbs and no invasive insect infestation, I would heartily recommend leaving it in place. There are at least two reasons for this. No. 1 is that the dead tree attracts a number of boring insects and will provide a food source for insect-seeking birds such as woodpeckers. 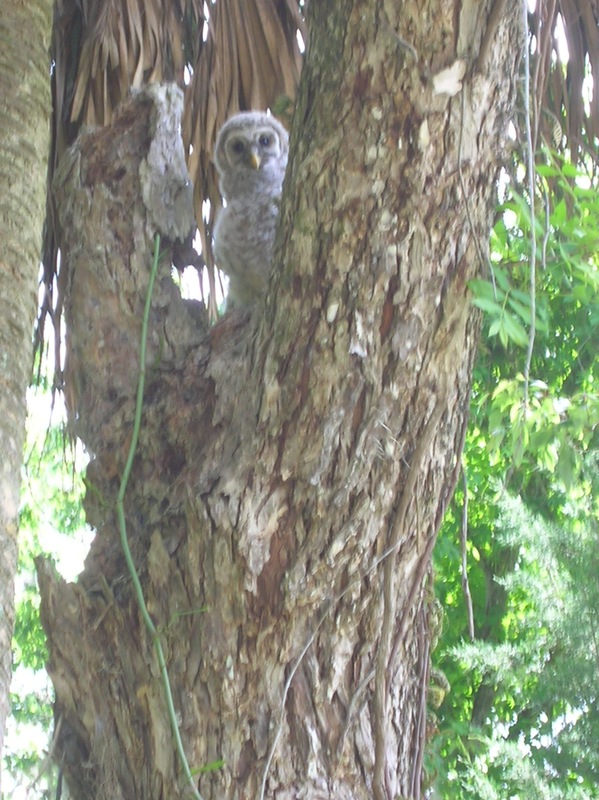 And the best reason to leave that dead tree in place is that it can become a nesting site for any number of cavity-nesting birds, such as woodpeckers or owls. 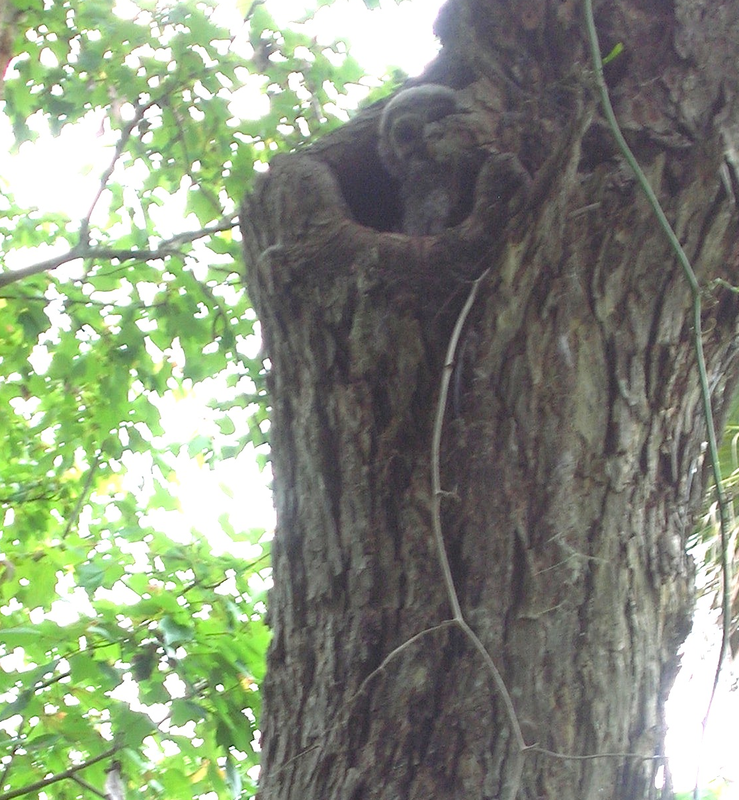 As the tree degrades and begins to rot away, it can provide habitat for a number of other organisms and eventually it will compost, adding nutrients to the soil where it once stood. Your old tree can go on to enrich your landscape and life. While I would not recommend “pinching” many plants, that delightful shrub bougainvillea thrives on it. A tropical that Carmen Miranda would choose, bougainvillea hails from Brazil, her home country. It too is colorful, jazzy like Carmen and not exactly cold tolerant, making it a good choice for container growing. This could well be the plant for the gardener with more to do than stand around and water plants, being very forgiving of those who forget to water their gardens too. Removal of spent blooms and pinching back to prune plants actually helps to promote bloom. Prune or pinch back plants any time of year. For repeat blooms, remove spent flowers and pinch back like this. Like hibiscus, bougainvillea prefers to be pot-bound. But unlike the hibiscus, bougainvillaea likes it dry, with good drainage that is a must for this plant that prefers an alkaline soil. Plenty of sunshine is necessary for a riot of colorful blooms that should cover these plants from October through May in bloom cycles of every four to six weeks. 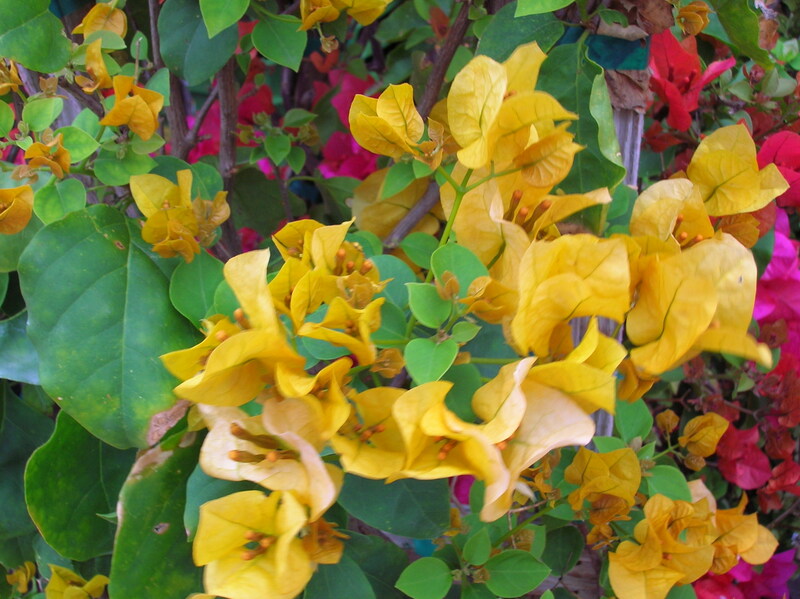 Of course you probably already know the colorful “flowers” on bougainvillea aren’t actually flowers at all, but are really bracts with the flowers being the cute, little white centers. Varieties ‘Barbara Karst’ and ‘New River’ are not only the most popular choices, but the hardiest as well. Bougainvillea does not tolerate temperatures in the low 30s for four or more hours. Either bring plants under cover or giving them a good soaking at the base of the plant, not on the leaves, when freezing temperatures threaten—this being one time when extra water is warranted. Overwatering on a regular basis is the biggest problem, and plants not getting enough sun are reasons why plants don’t grow well or fail to bloom. That means plants should get at least five hours a day of direct, full sunshine. And they go dormant in the summer, a good time for general shaping of the plant. Even so a regular feeding schedule of once of month yearround of a 6-8-10 plus minors fertilizer formulated for bougainvilleas is recommended. Although there are few pests that feed on the plants, the bougainvillea looper, a green or brown caterpillar about one-inch long, can do a lot of damage. Inspect plants regularly, and hand pick any of these pests. 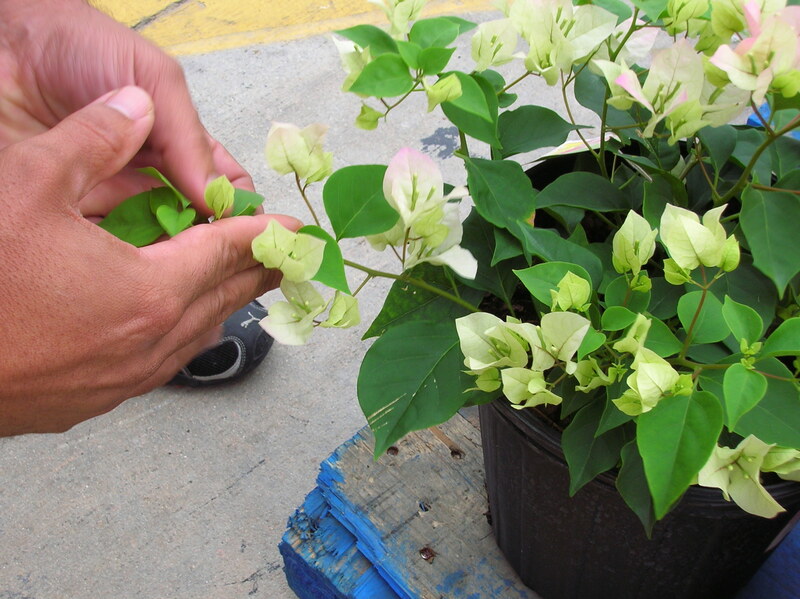 For more information about growing bougainvillea and common pests and diseases, visit the BGI website at: bgi-use.com. Planting certain plants adjacent to others to produce enhanced outcomes is called companion planting. There are a number of classic examples, like basil near tomatoes to help repel insects from the fruiting plants or the trio of “three sisters,” corn which supports climbing beans which help provide nitrogen for the corn and squash which provides moisture-retaining shade for the other two. 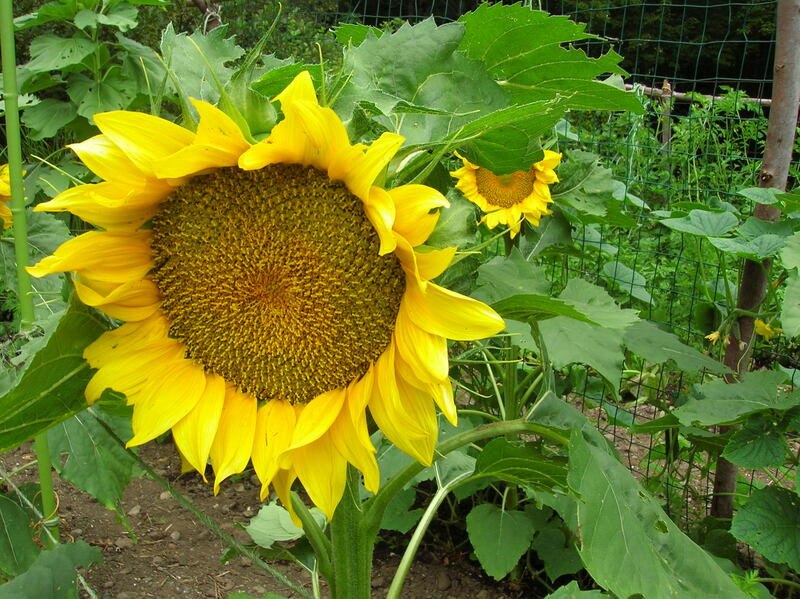 One of the most delightful companion plantings is that of VanGogh sunflowers (from Renee’s Garden Seeds) and cucumbers. These stocky sunflowers are an excellent support for cucumbers in the garden, not only providing support for the vining cucumbers, but the association of combining sunflowers and cucumbers nets better-tasting cukes in the bargain. And of course whenever you add flowers to a vegetable garden you are getting the added bonus of attracting pollinators which help ensure better crops. It’s a little dreary out this morning, and most of the spring chores have been completed. So I decided to take a break from the garden and bake a batch of almond cookies. 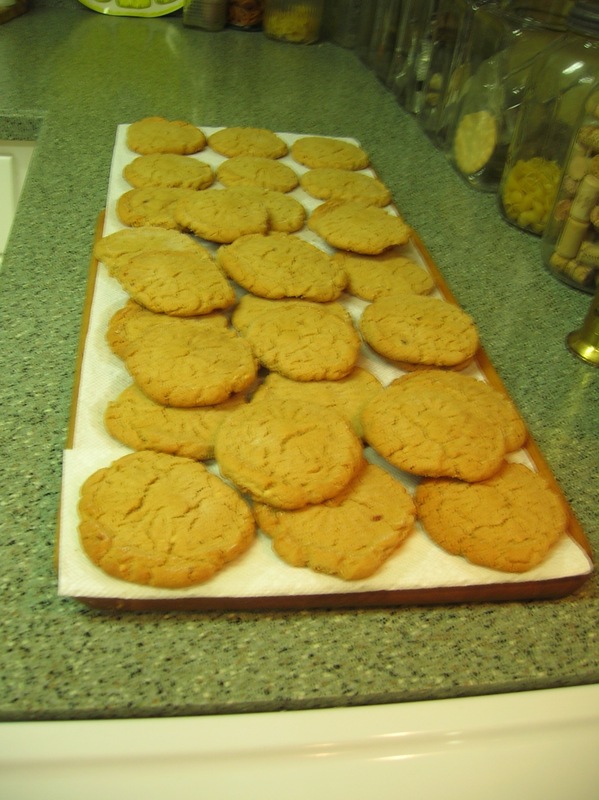 This easy recipe is based on Mary Barney’s (world famous cook from the schooner Mary Day) peanut butter cookies. I simply substitute almond butter (I prefer the crunchy) for the peanut butter and almond extract for the vanilla. The result is a light, delicate cookie bursting with almond flavor and with just enough chewy-ness to make it satisfying. You don’t even need a mixer as everything stirs up quickly by hand. Use a glass with a decorative bottom dipped in sugar to impress a nice design. Or simply use a fork to flatten the dough slightly for baking. This recipe makes about three dozen big cookies. I always say, why bother eating a cookie unless it’s a big one! Combine the flour, baking soda and salt and set aside. In a bowl, stir together the sugars, oil, almond butter, eggs and extract. Stir in the flour mixture. Form balls about the size of walnuts and flatten slightly with the bottom of a glass dipped in sugar or with the tines of a fork. Bake at 350 degrees about 12 minutes. Or until the cookies are firm and beginning to brown only slightly around the edges. Do not overbake. Cool on paper toweling. Makes about three dozen large cookies.